Summer season is always a tough time when it comes to what to wear. I don’t want to spend my time sweating and being uncomfortable. As the summer season neared, I decided that, in an effort to be cool but still stylish, graphic t-shirts would be my go-to attire of the season. I think t-shirts are perfect, especially in the warm weather. Not only is the fabric cool but you can make a statement with a graphic tee. Even though I write for a fashion/fitness blog, dress down days are always welcomed. I mean, who is really dressed to kill seven days a week? And there began my search for t-shirts. I knew I wanted a shirt that would represent my stature and most importantly, myself. During my search, I realized that there were many graphic t-shirts that did not reflect me or my style. I didn’t want to wear a t-shirt that connected me with food, even I love food more than the next man. (As I am writing this article, I am eating chicken and waffles! It tastes like angels are dancing on my tongue.) But I don’t want to be the “big man” with a t-shirt that gives an impression that all I can and want to do is eat. It isn’t often that you find a brand that speaks for you. There are few brands that provide the voice for men of size. So when I found Large Lad Clothing, I felt I had found exactly what I was looking for. Have you ever come across a brand’s slogan that spoke to you? Have you ever found a brand where it felt like you were one of the people that they had in mind when they created their brand? That’s how Large Lad Clothing made me feel. They are a clothing brand designed for the man that is “large and in charge”. 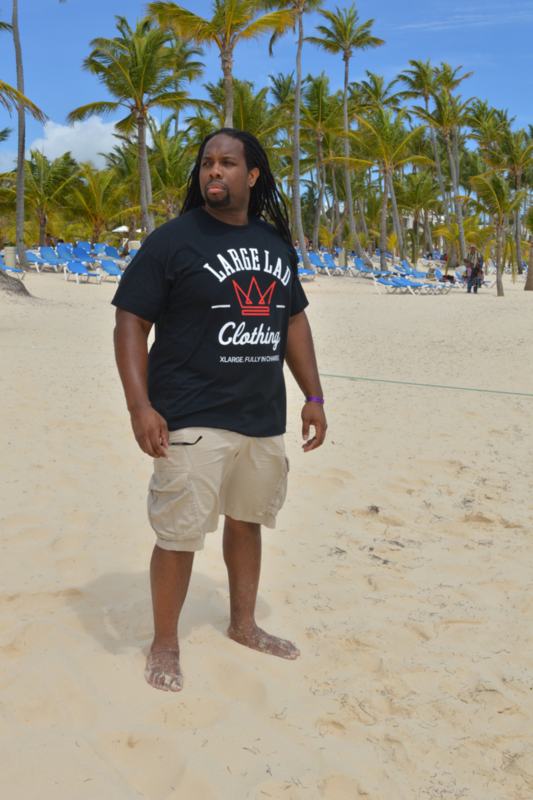 The emblem of Large Lad Clothing (www.largeladclothing.com) is a crown. Since my name is Kavah King, the clothing line fit perfectly! Not only does the brand have graphic t-shirts, but a variety of polo shirts and button downs, as well. The brand in itself has a very classic vibe. Some t-shirts have “adult” slogans, but the brand also has a slogan that you can wear anywhere. 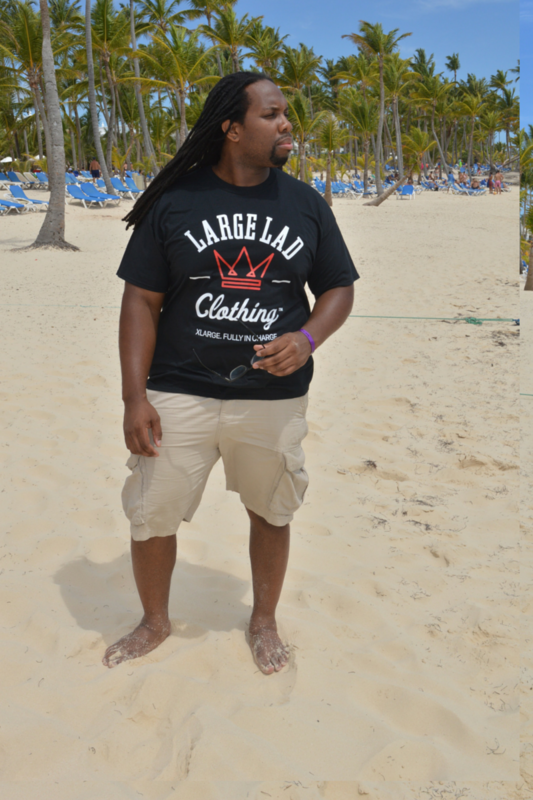 Large Lad Clothing describes being a man of size as like being in a fraternity. That is exactly how I feel about being a man of size. Not everyone can walk in our path, so why not be proud of who you are? 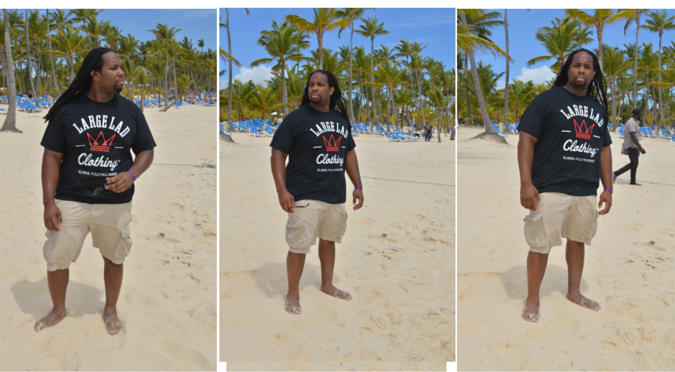 Large Lad Clothing has plenty of clothing for men up to a size 6x. Below is one of my favorite t-shirts, so if you are looking for a graphic t-shirt, or any other clothing that’s made with the man of size in mind, make sure Large Lad Clothing is on your shopping list.